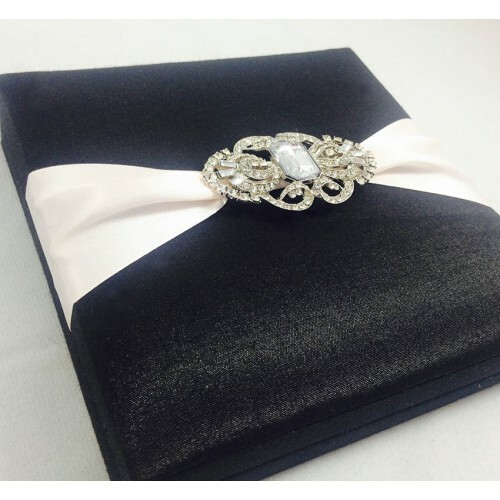 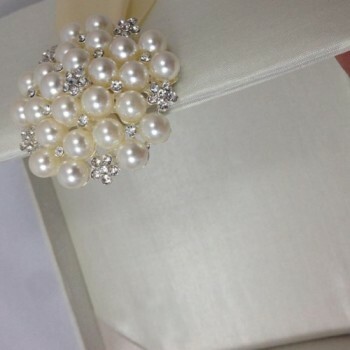 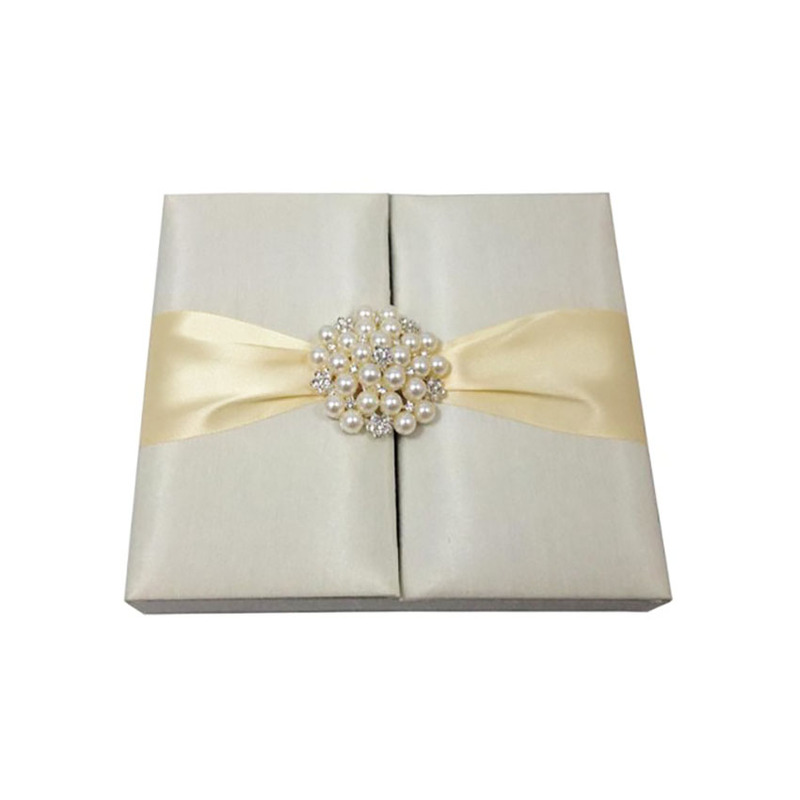 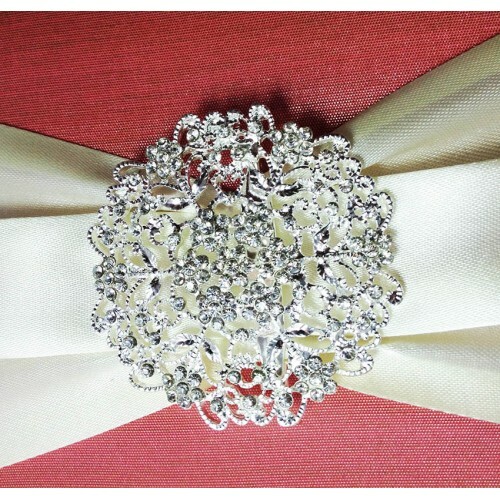 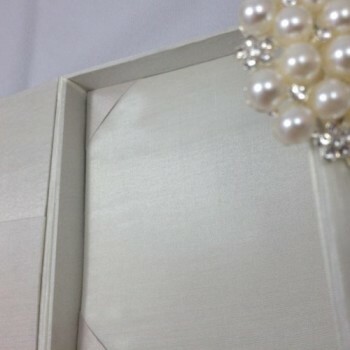 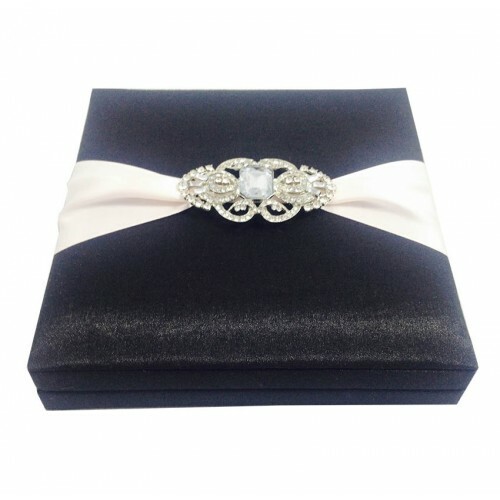 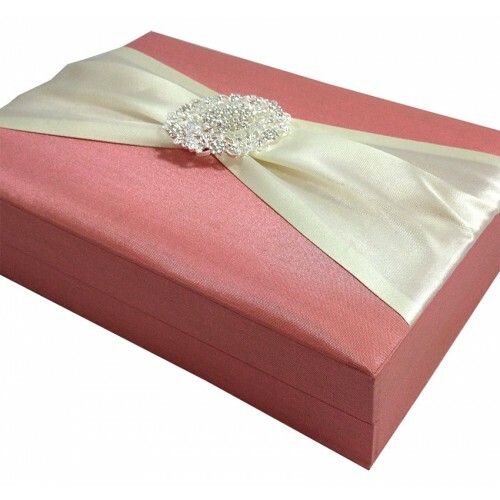 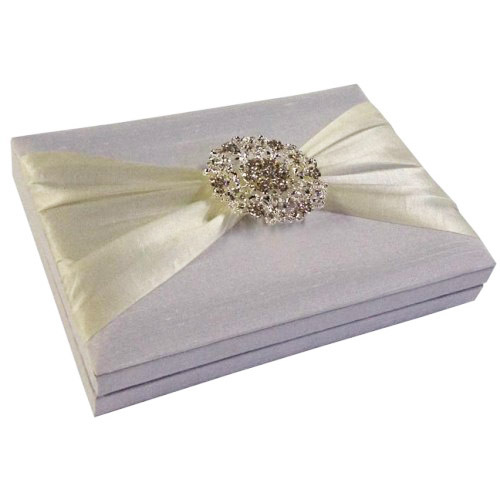 Ivory color silk box for wedding + event invitation cards featuring our stunning large pearl brooch. 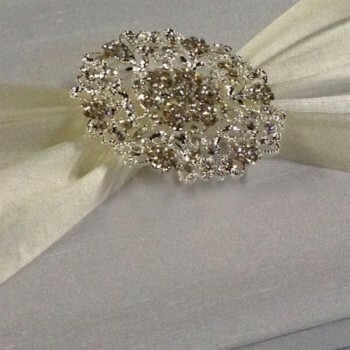 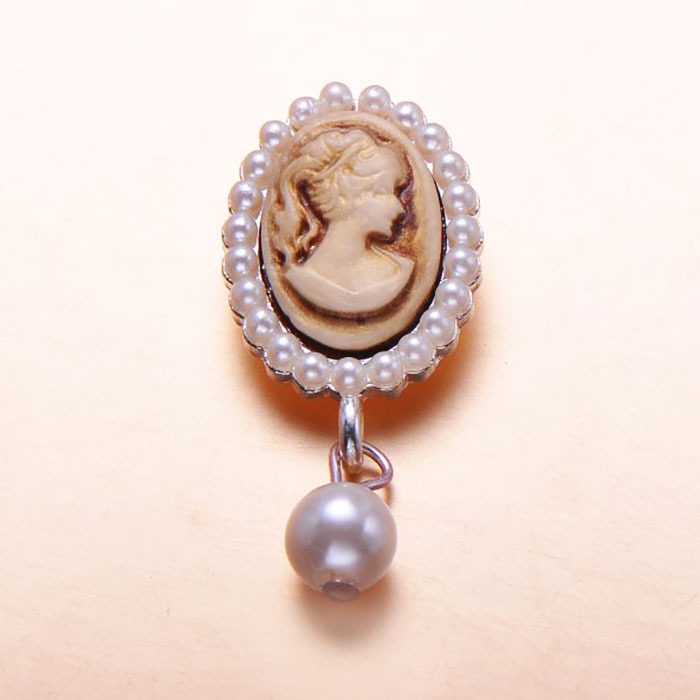 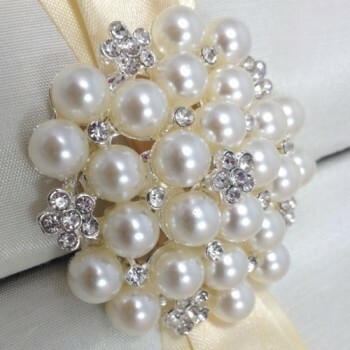 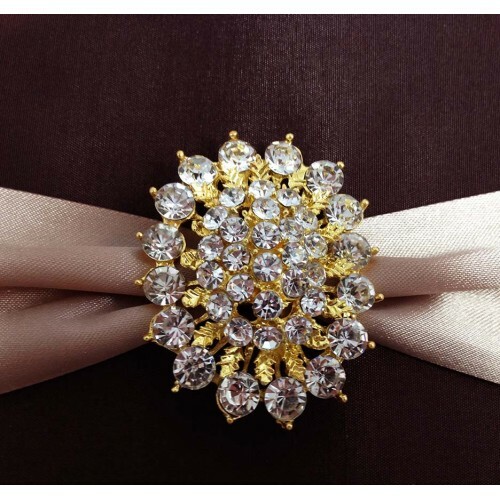 The round brooch was designed by using not only off white shiny pearls but also amazing rhinestone crystal. 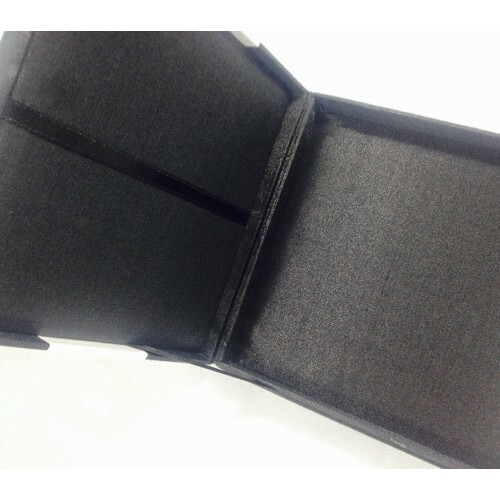 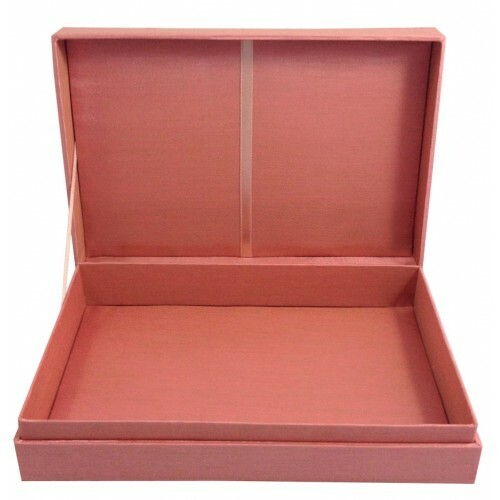 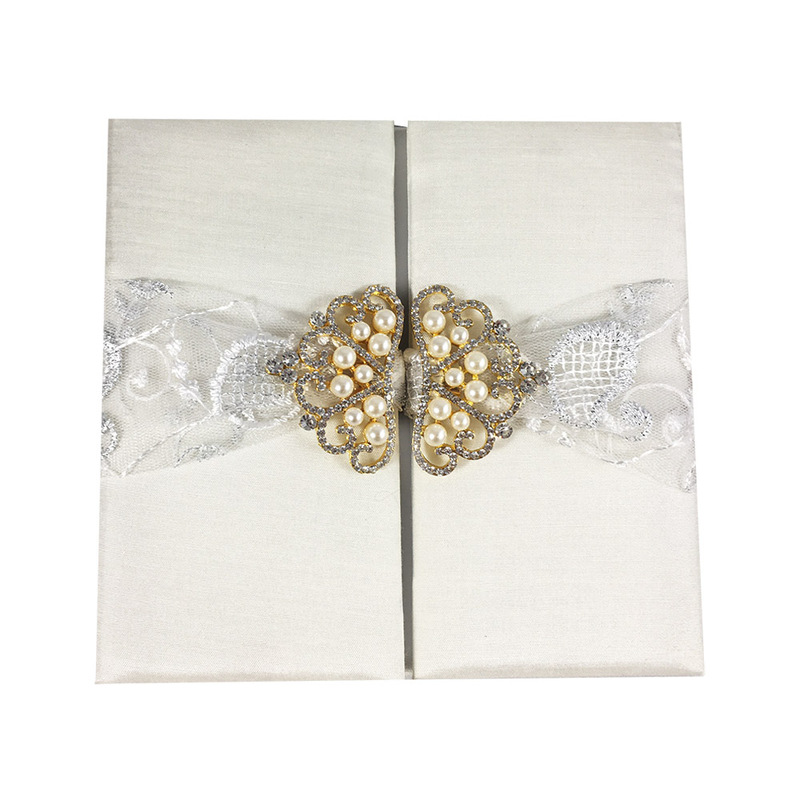 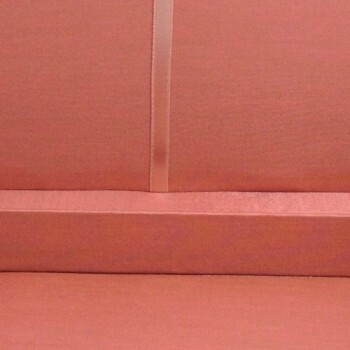 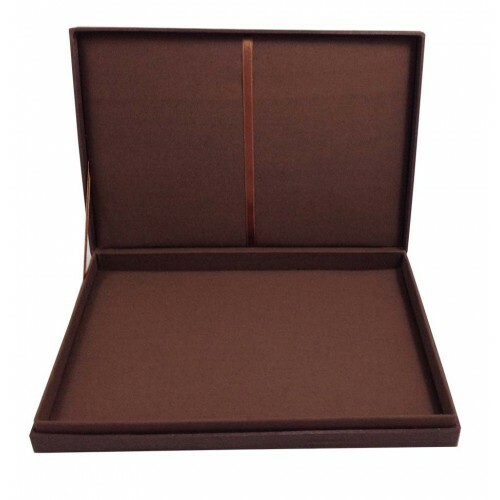 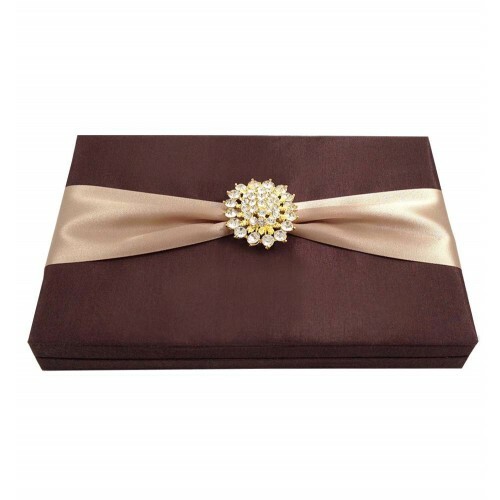 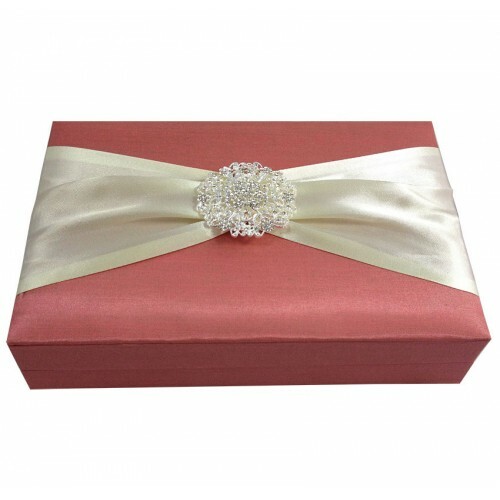 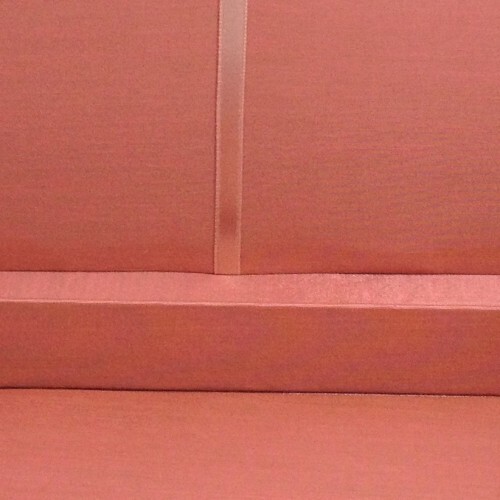 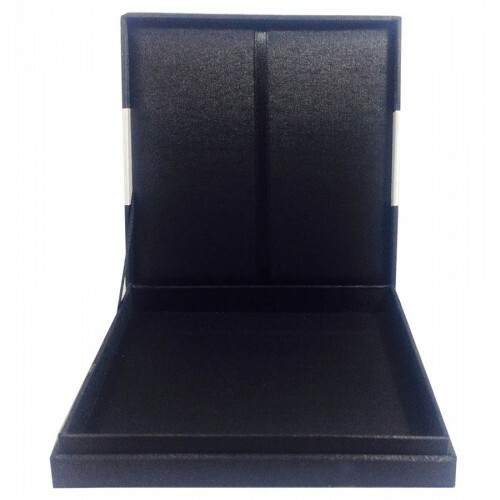 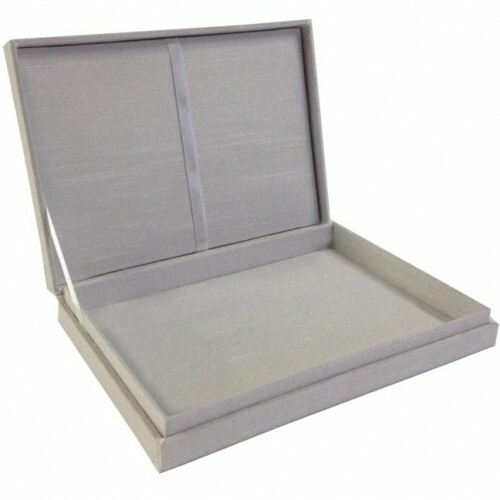 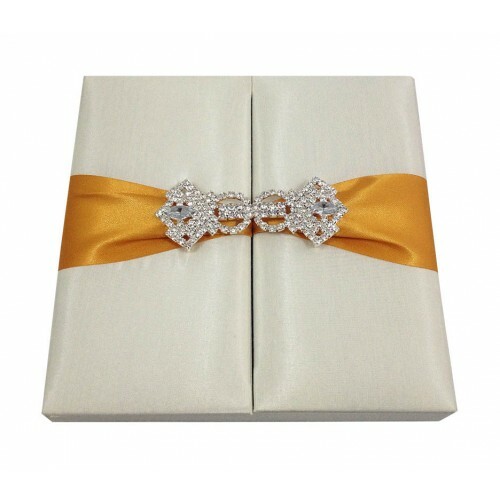 Opening the two doors of this wedding box you will find pockets behid each door and silk corners on the padded bottom of this box.